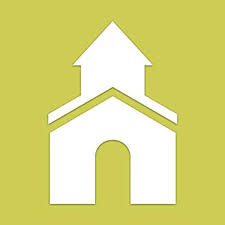 Click on the image to the left and you will be re-directed to the login and registration page for Instant Church Directory. Follow the prompts under Sign In to Create a login now. Please remember, you must confirm your email address before you can sign in. There is also a free mobile app for download at the Apple App store in iTunes, Google Play store and the Amazon Fire App store. Simply search for Instant Church Directory to get the download. Create a password. The password must be 8 characters long and contain at least two of the following: capital letters, numbers or symbols. Check your inbox for an email from service@instantchurchdirectory.com. You will need to verify your email address by clicking on the link sent to you in that email. Once you confirm your email you may sign in by clicking on the logo at left or here. Remember! You will need to use your email address as listed in our database to create a login for the first time. If you need help please contact the office ourchurch@messiahchurch.com or call 608-222-3833.